What makes TOTO Toilets different than other companies is that they dedicated their company and their products to 100% satisfaction. TOTO uses 5 guidelines when they create their products. The first is Innovation; TOTO prides themselves on all original designs as well as using the most current technology. The second is Design; TOTO uses the holistic approach when creating their toilets. Toilets have to have a design that makes it comfortable for customers and not just on how good they look.Quality, TOTO uses 100% attention to detail. They keep on improving the quality of their products ands with 90 years of customer service they have it down to a science. With the new green movement here, TOTO uses Ecology to help customers save money by creating energy and water saving toilets. Lastly, there is Value. This comes from the company’s commitment to the environment as well as their customers. One of the premier toilets is the UltraMax Toilet. With these 5 ingredients, let’s see what makes the UltraMax different from the rest. The TOTO UltraMax is a smooth one-piece high profile toilet. This toilet comes with the unique G Max Flushing System; the G Max System is a quieter and higher performance commercial style flushing system. Some toilets are not accurate flush. The UltraMax Toilet is a 1.6-gallon water saving toilet. With this toilet you will get a faster flush than other toilets, the UltraMax uses a 3″ Wide Flush Valve and it is about 125% larger than other standard 2″ flush valves. On the TOTO UltraMax you will find a 2-1/2 100% fully glazed trapway. This will help with more accurate flushing. This system used a computer design to ensure high performance every time. This design offers a 12″ rough in and a siphon jet flushing action. There are some really cool benefits of using the TOTO UltraMax. As we mentioned in the specifications, this toilet has the much sought after G Max Flushing System. This system is the preferred flushing system of many professional plumbers, contractors and even the pickiest homeowners. The UltraMax will save you money every time, with its energy and water saving designs. 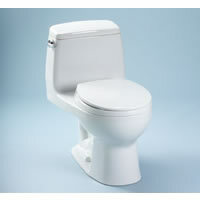 The TOTO UltraMax Toilets are available in 4 different colors, Cotton, Bone, Colonial White and Sedona Beige. This toilet comes complete with the tank cover, fittings, chrome plated trip lever and TOTO provides the Soft Close Seat. This seat is unique in the way that it closes softer than other toilets do. This seat will close with a light touch and is elongated for comfort. This TOTO UltraMax Toilet is perfect for homeowners who are looking for more comfort. This toilet offers a great look and high performance. The TOTO UltraMax is priced at $326.50. You can find this toilet online on many sites. 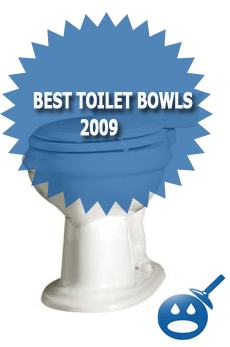 You can also find these toilets are specialty Bath and Kitchen stores all across the United States and Canada. If you shop around, you will find a great toilet with better pricing if you look hard enough. TOTO has a great reputation for quality, design and value. 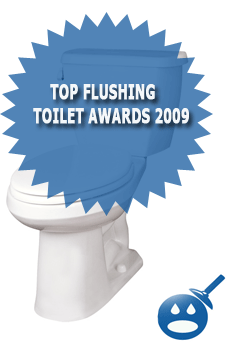 The price is affordable and you will get a toilet that is energy saving as well as a low water consumption toilet. You will see a difference in the water bills at the end of the year. If it is time to get a new toilet, the TOTO UltraMax is a perfect choice. It has a great design and would look good in any bathroom. « Baquacil Vs Chlorine: Which Is Better?